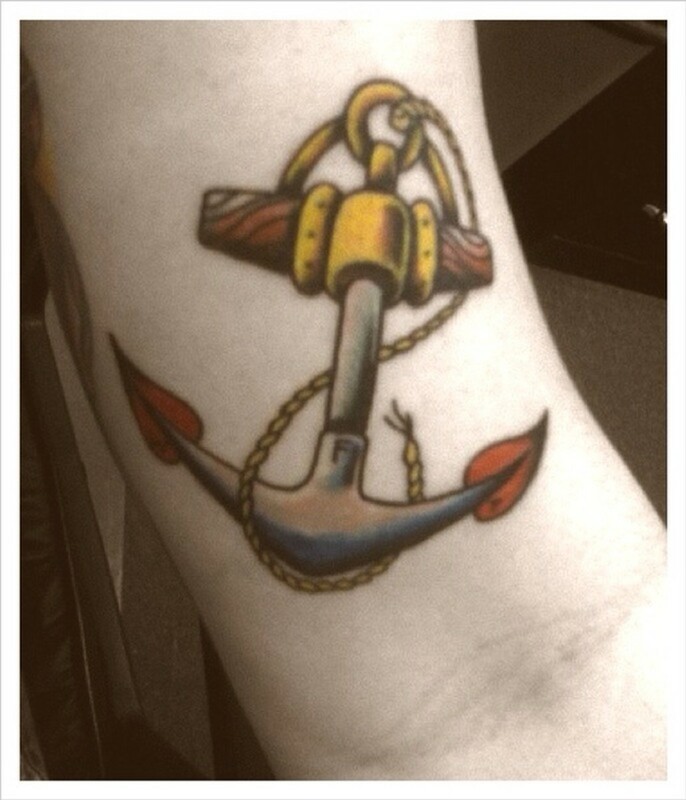 An anchor is one of the more popular tattoo designs around for both men and women. The reason it's so popular is its versatility. The anchor is a framework that the artist can hang a number of different elements and symbols on, including ships, ship wheels, sharks, fish, or stars. 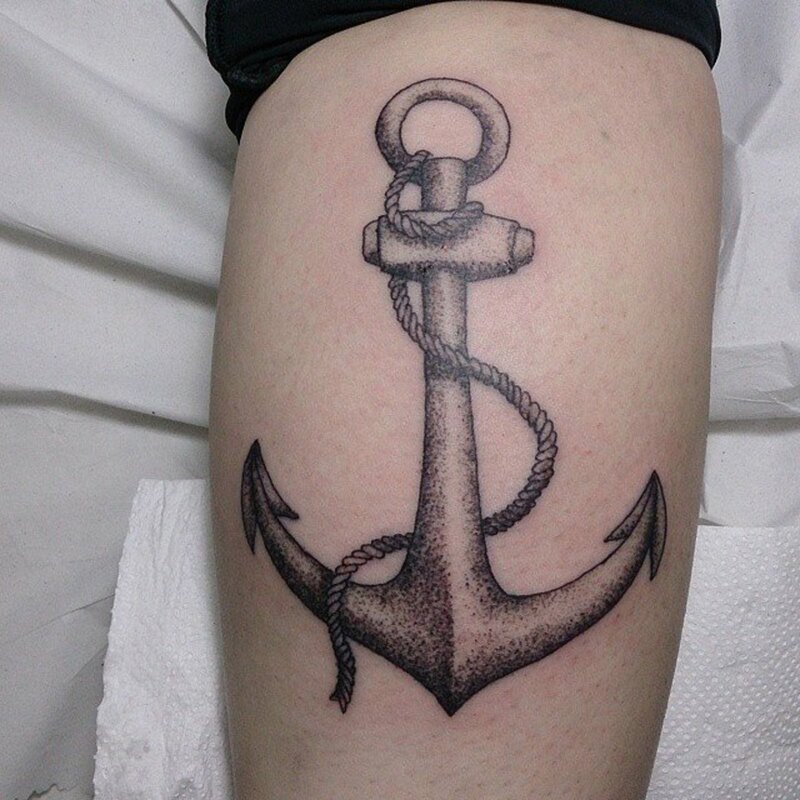 Along the same lines, since anchors can come in a variety of different sizes, you can get it anywhere on the body. 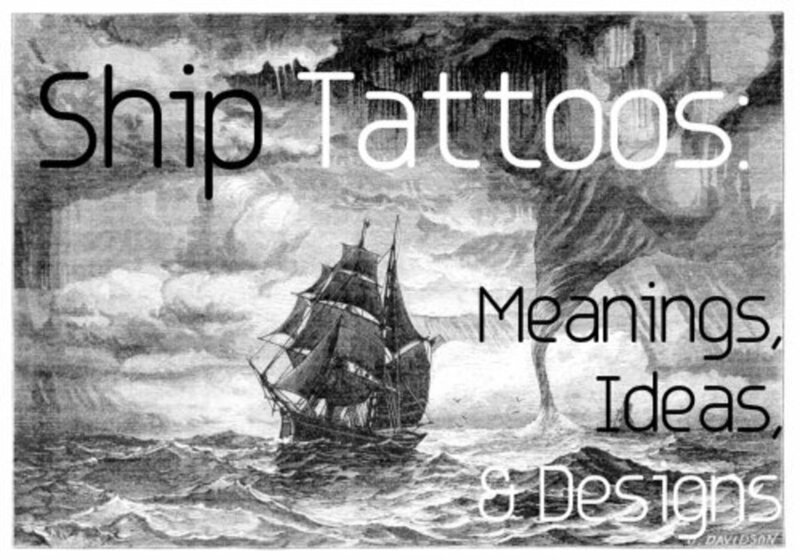 This article will go over anchor tattoo designs, showing you the range of different options available. We'll also discuss their meaning and significance. In the end, we hope that you are able to find ideas and inspiration for your next tattoo. The anchor tattoo has stood the test of time and still remains a popular maritime symbol. 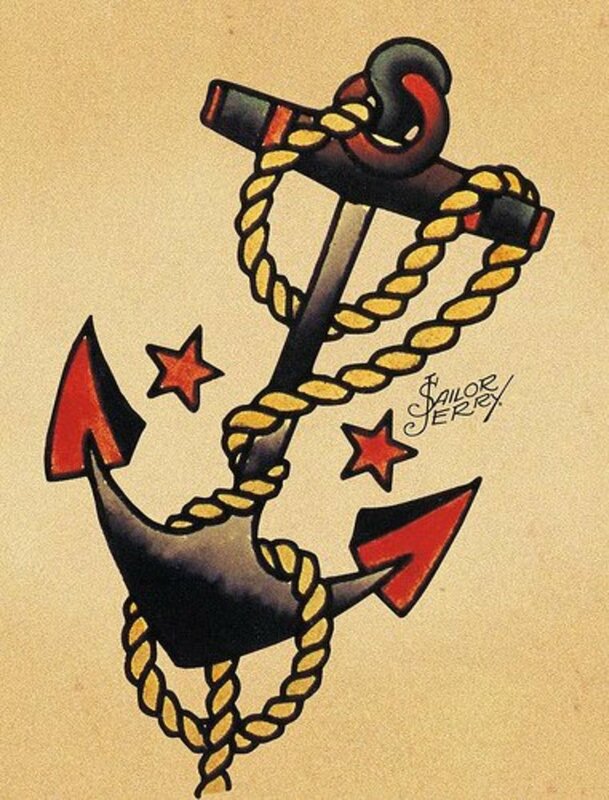 A long time favorite among seamen, the anchor is one of the oldest tattoo symbols. The Marines and Navy are the two most common groups known to wear anchor tattoos. The anchor has a history beyond tattoos though. This popular and well known symbol has been around for centuries. Although the anchor is most commonly associated with sailors, it also has an association with Christianity. Christians actually used the anchor to replace the cross when they were a persecuted minority. When Christians were under Roman control, they spent most of their time hidden. Christians used the anchor to resemble the cross so there would be no sign of the religion and to signal other Christians in secret. 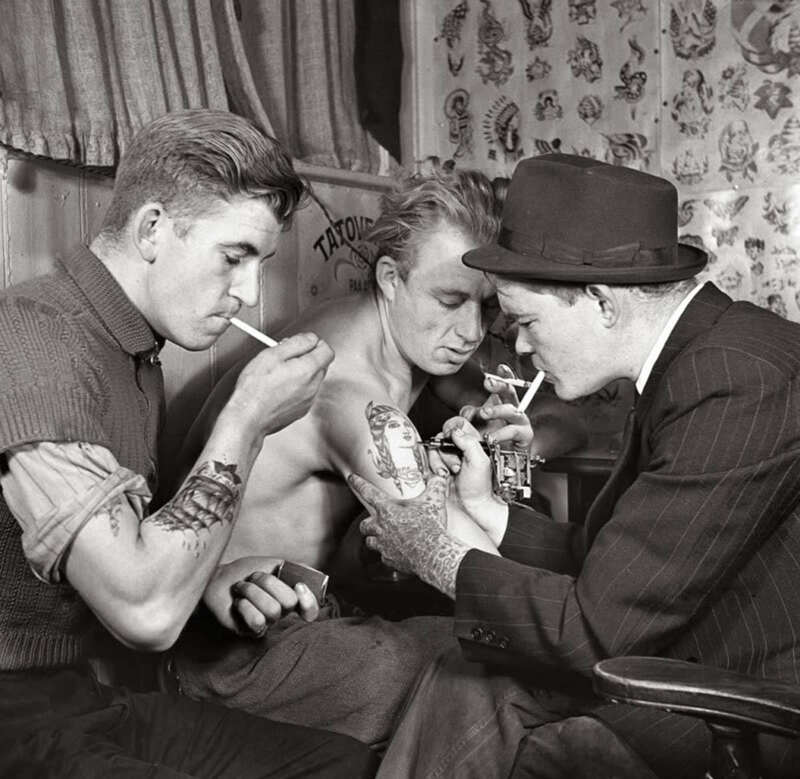 It wasn't until the 1900s that anchor tattoos began to catch on. Sailors were among the first to get them, in an effort to symbolize their association to the sea. Sailors that crossed the dangerous Atlantic Ocean would get the tattoo as a symbol of their accomplishment, so it quickly came to mark out experienced sailors. Later on, the Navy and the Marines began to sport the same design to represent their affiliation. 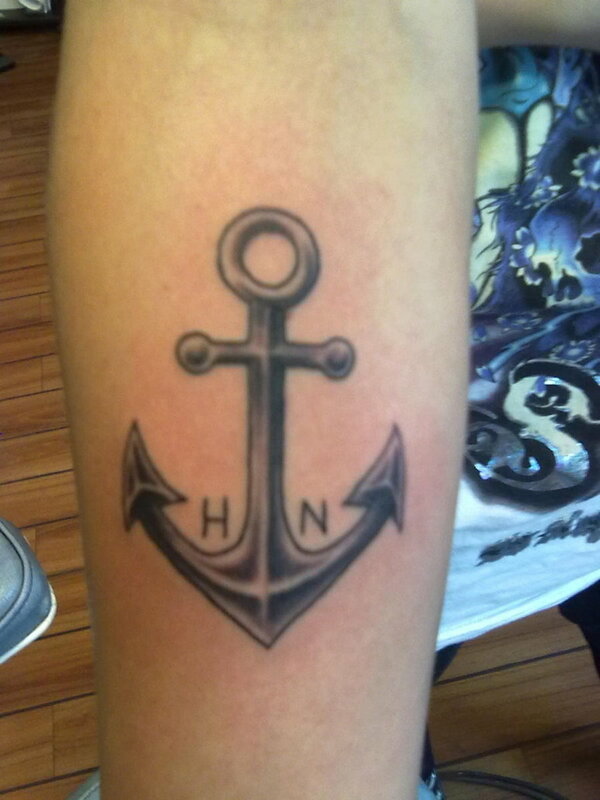 They would commonly pair a picture of their ship or the number of their outfit with an anchor tattoo. They wore this tattoo with pride and it also represented America. 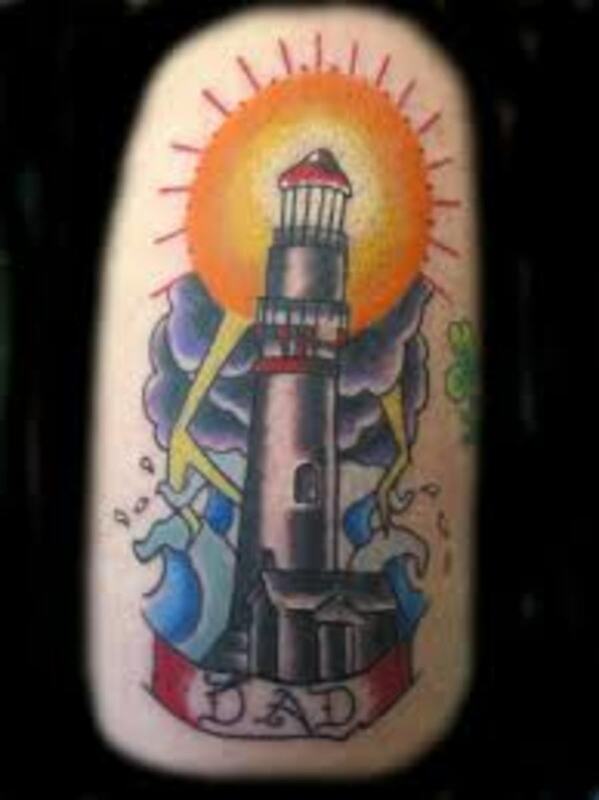 For example, they could use an American Flag wrapped around the anchor or have an eagle within the tattoo design. 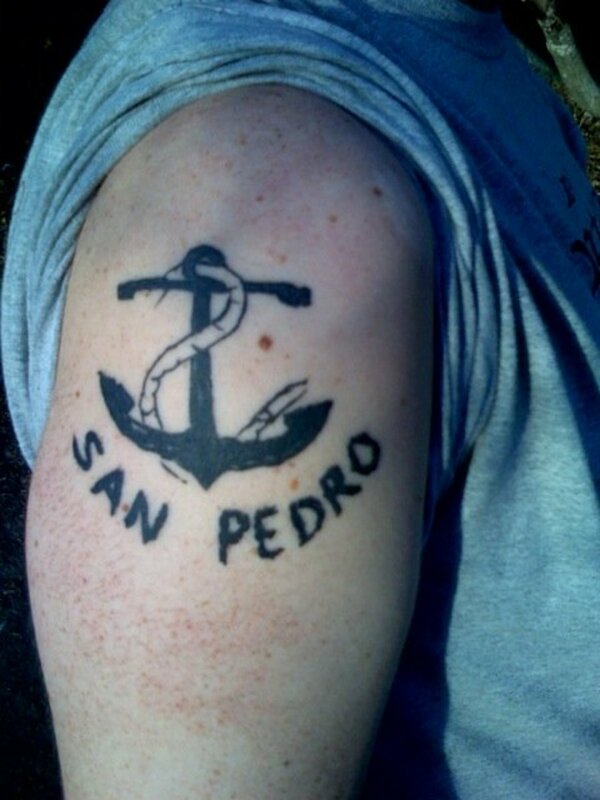 Even today, the Navy and Marines sport anchor tattoos. It is believed that pirates also had anchor tattoos, though the skull and cross bones are commonly associated with them. When we look at the anchor in nature, it really only serves one purpose: to hold the ship steady in water. When the anchor is dropped, the water can't budge the ship. We can actually grab some of the anchor's symbolic meaning from these facts. 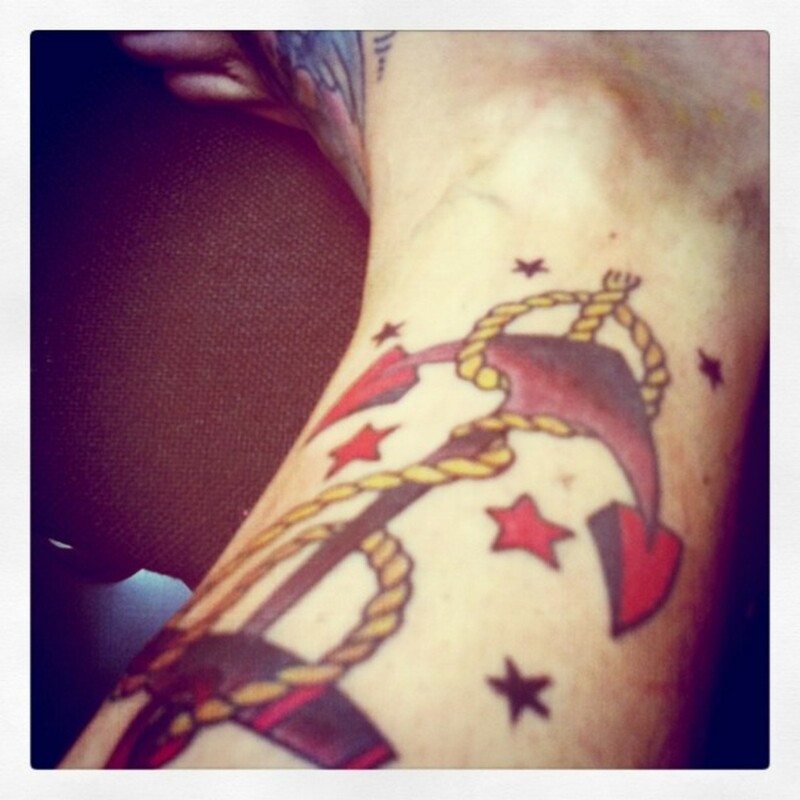 Besides affiliation, "stability" may be the most common meaning of the anchor tattoo. When we look at the anchor in general, we can come closer to understanding all of its symbolic meanings. As you just read, one meaning of the anchor tattoo is "stability." This one meaning can be evoked in different ways. For example, it could symbolize that you are steady in life and that everything in your life is falling into place. Another variation is that you have stable surroundings. In most cases, this refers to your family. With lots of anchor tattoos, you may see a ribbon across with "FAMILY" on it. Families should be close, strong, and stable. A few anchor tattoos in this article have "MOM" and "DAD" depicted on them. You can also get creative and add your children's names inside the design. 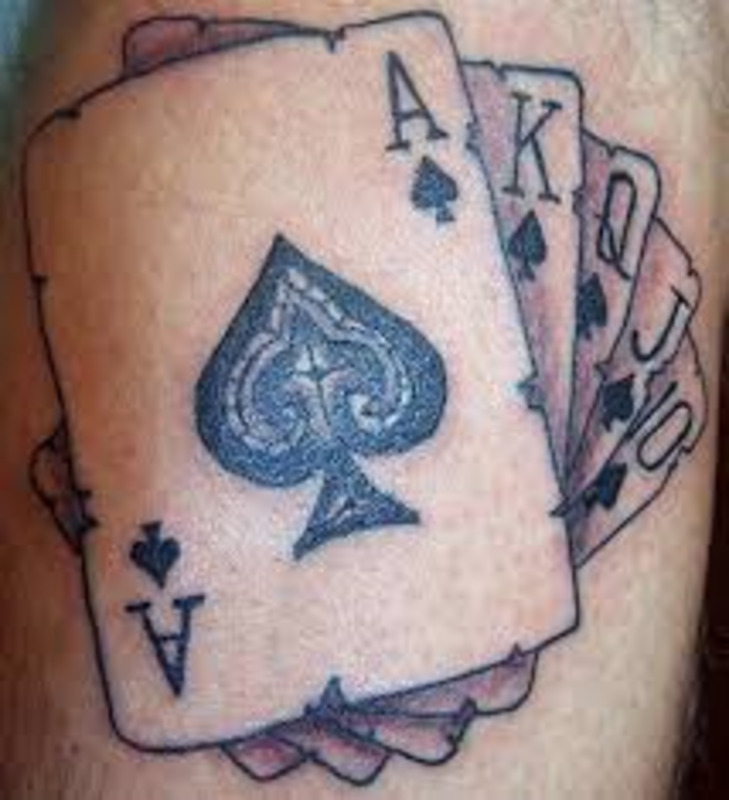 For all of these, the tattoo symbolizes a strong family relationship. The anchor tattoo can also represent someone in a stable relationship. In most cases, it is usually worn by a man to show he is in a committed relationship. 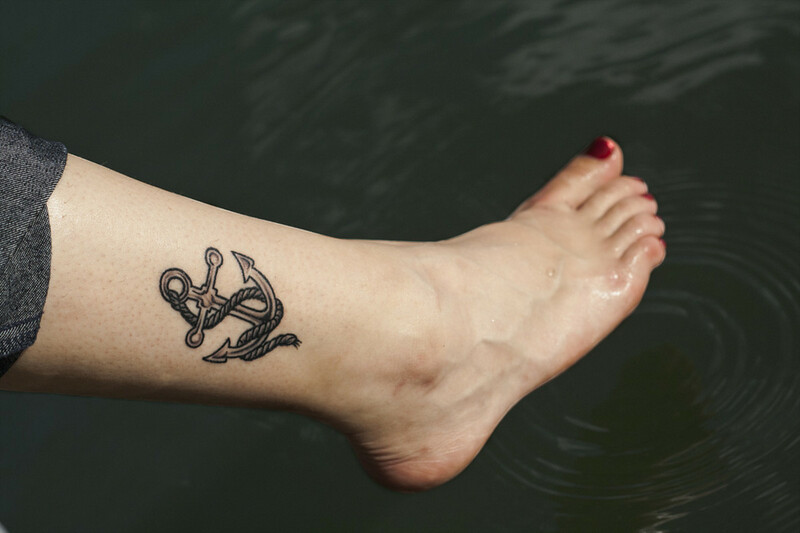 It is not common, but women can wear the anchor tattoo for the same thing. Some couples may choose to get matching anchor tattoos to symbolize their relationship with each other. The anchor tattoo can be portrayed by its self or with a variety of different symbols. Symbols that are commonly associated with the anchor is flowers, hearts, wings, nautical stars, ribbons, eagles, and skulls. 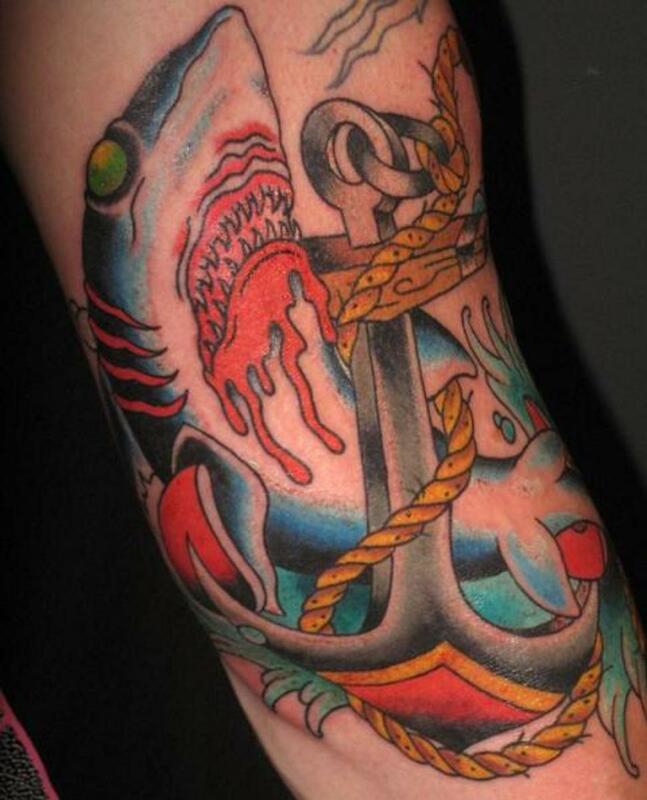 Some anchor tattoos can be ordinary or traditional looking and others can be quite colorful with a variety of different colors used in the design. In most anchor tattoos, the anchor is tattooed in the center of the design. 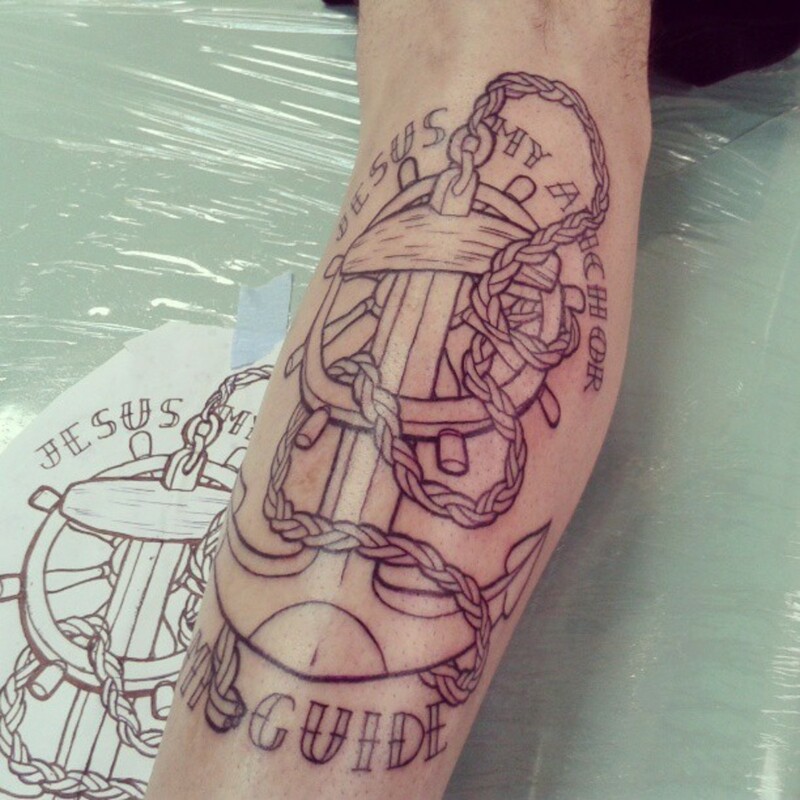 Remember to do your own research on the anchor tattoo design or any other tattoo design you may be considering. 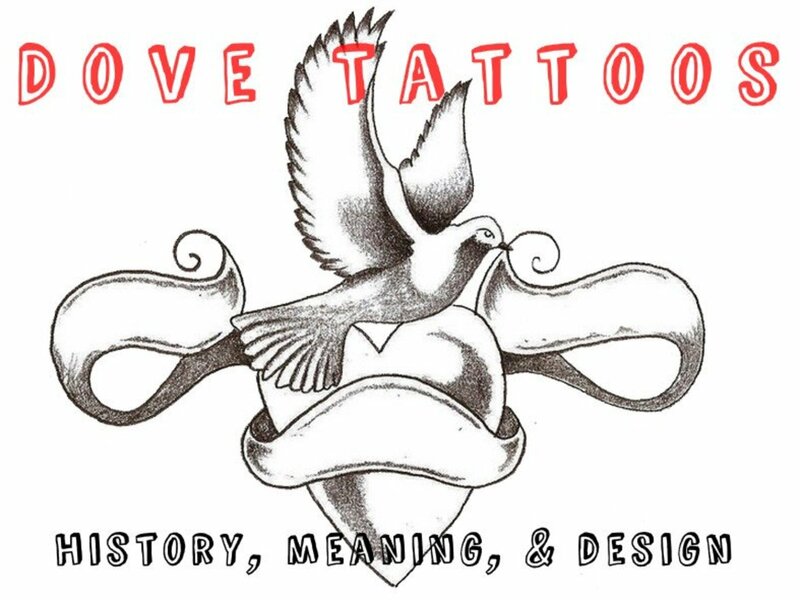 It is always best to know the meaning behind each tattoo design you are considering. 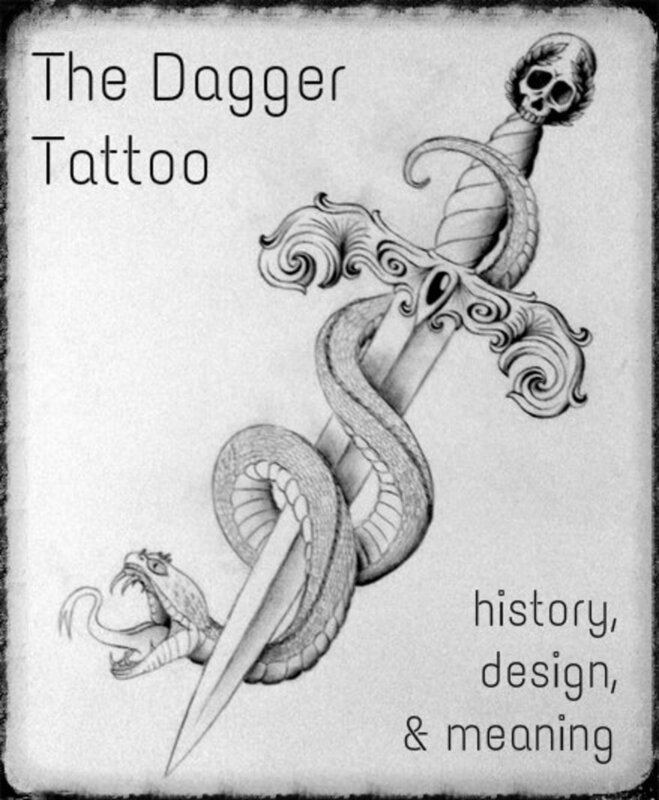 There are thousands of tattoo designs, style, and meanings. Don't rush into the tattoo process and get inked before you do your research. You don't want to get a tattoo that you will later regret. Take your time and choose a tattoo design that fits you. Check out the samples below. In a philosophical sense, the designation of the anchor embodies the concept of stability and strong roots. Having a firm support under his feet, a person can overcome any tests sent to him by fate. The anchor is also a symbol of faith and fortitude. A person who puts an image of an anchor on his body has a strong willpower, he is able to overcome any difficulties on his way. For people associated with the sea, the anchor serves as a symbol of hope, it gives strength to resist the blows of the elements. Ancient sailors tattooed the anchor after crossing the Atlantic ocean. Sometimes the anchor is depicted together with other symbols, for example, the anchor in combination with the Dolphin symbolizes moderation. You can also find an image of an anchor with a wind rose, such a symbol supports the desire to find the right path, to follow the right course. 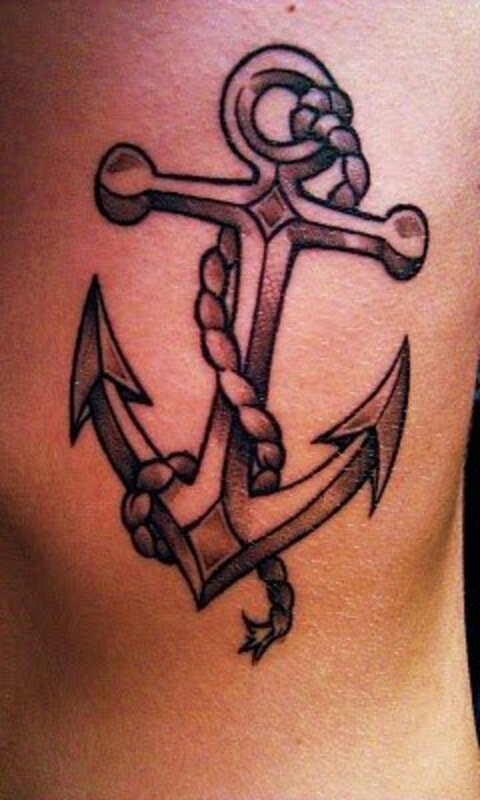 Anchor, depicted together with the heart, is a symbol of loyalty, it holds together loving hearts. The anchor in combination with the cross gives religious people hope for the help of Higher powers. The anchor, wrapped in a rose, is a symbol of unselfishness and self-sacrifice. I have tatto of a small anchor on my left rib. I grew up in a home that didnt have much stability. We live off Social Security and food stamps. We bounced in and out of my grandmothers house because of money issues and soon my mom believe she need a man to be able to have a stable life. I hated that feeling so I got the tatto of an anchor which for me represents keeping myself anchored, that I can keep myself stable through my own strength. That I dont need help from anyone else i control and anchor my own life. Hi thanks for you info..
i have a small tattoo of a anchor on my left rib for me it represents my own stability. I grew up in home were we didn't have a real stable home we bounced in and out of living with my grandma and so the anchor for me represents my hope to keeping myself stable not having to depend on anyone else strength but my own. John, thanks for dropping by. 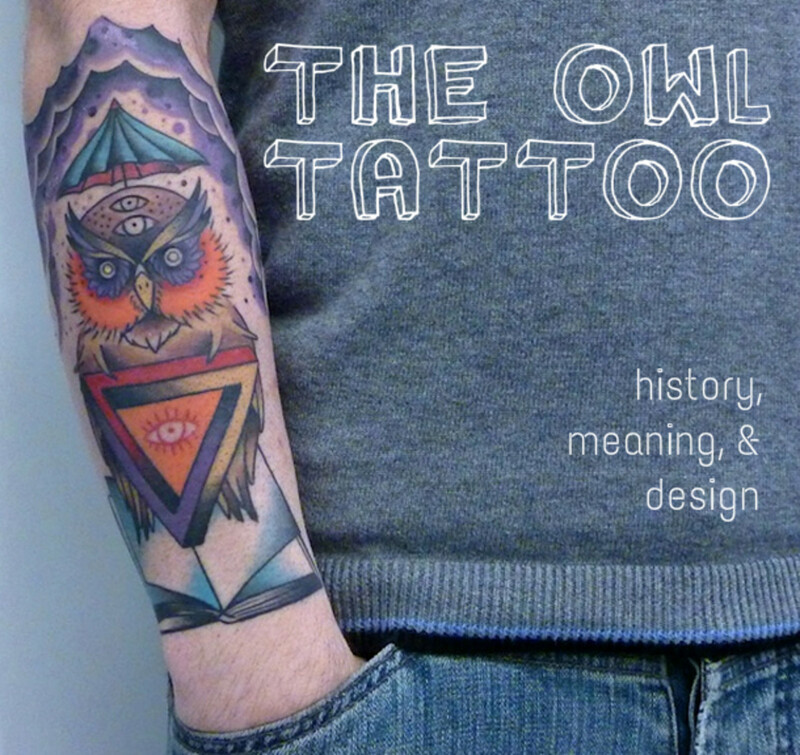 I always enjoy hearing the history and story behind someone's tat. LOL That is way too cool! Royal Navy, that is awesome. Such a great story and thanks for your service John!! Gypsy, thanks for the info my dear. I will have to check in on it. Still working on your request. I haven't forgot ya:) Best wishes. To help you out friend I checked yup there are tattoos related to Popeye I just don't know how many or what the story behind them are. Just put Popeye tattoos in any search engine. *AE, always a pleasure to see you. The foot is a great choice. You can show it off when you want to or cover it up if need be. *Gypsy, glad to hear from ya again. Popeye? Interesting. I wonder if there is tattoos? *Frank, the tank! Expanding the knowledge my friend. I feel my brain swelling! Lovely pics, great info. Lot's of sailor fans out there. Reminds me of my favorite sailor - Popeye. I really enjoyed this hub. I'm from Portugal, and as you might already know, we have a long tradition in sailing and discovering new lands upon the unknown sea. I knew that most sailors tattoo anchors and of course I could deduce the connection with the sea.. but I also enjoyed your explanation about "stability". 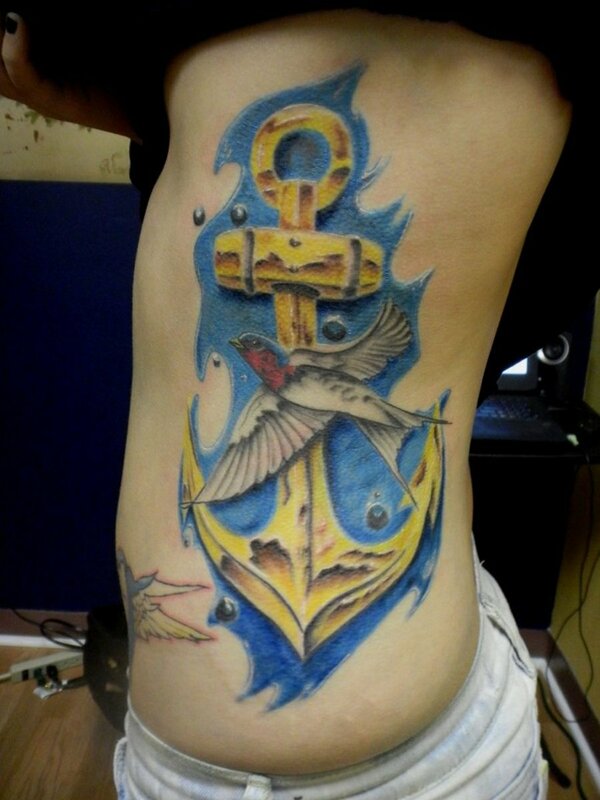 Really interesting hub, specially if someone is thinking of getting an anchor tattoo! =) keep hubbing!